Ole! 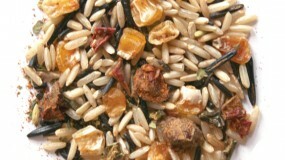 Brown rice and wild rice blend with dehydrated veggies and 14 herbs and spices. This is a full meal deal. This is our personal favorite blend. 5 parts water 1 part Mexicali. No Lid. Bring water to boil, add blend, rolling boil for 40-45 min. While the Mexicali is cooking just brown … Buy Now! Brown rice, red rice, red wheat berry, wild rice. Bistro Blend, colorful, textured wholegrain blend is our all time best seller. Salads, side dishes, and soups. This is our original blend and still remains our customer’s favorite. This combination of whole grains is full of texture and flavor. … Buy Now! Wow! What a trio, Quinoa, Lentils and Wild Rice, blended with brown rice and red rice. A power packed blend sure to please the pallet. This blend pops with color and texture. Four popular whole grains and legumes. A whole grain blend for all seasons. So easy to fix. Water or liquid of your choice, … Buy Now! Whole grain Brown rice, lentils, red rice and wild rice. Grains and legumes. Oh Yeh! Surprise your taste buds with this high protein blend. A delightful dish with dinner or as a breakfast cereal. Cook times varies, but generally about 40 min. Keep this blend covered in water at all times … Buy Now! Grown and harvested by our neighbors to the North, this wild rice is the largest grown in North America. 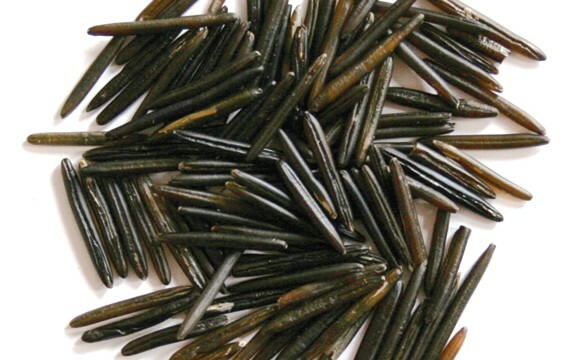 This long grained wild rice is grown in the northern most part of Canada’s pristine lakes. 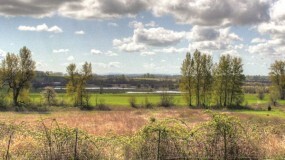 The area is accessible by planes. Air boats are used to harvest . Cook time is 45-50 minutes. … Buy Now! This cook book includes recipes with wild rice and wild rice blends. 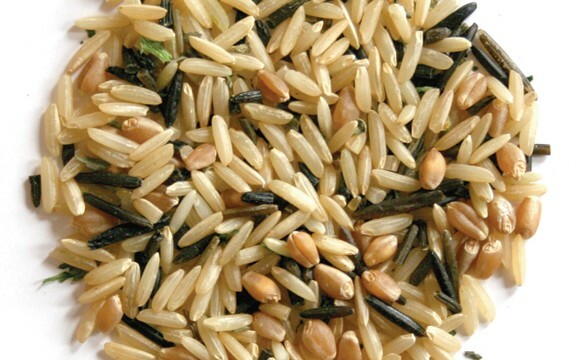 The recipes allow for substituting wild rice for a wild rice blend or a wild rice blend for wild rice. This cook book was compiled from recipes collected over 10 years by founder, Sharon. Yummy dishes include: Breakfast … Buy Now! To celebrate our 20 years, and Oregon ties, we have developed two new wild rice blends. One blend for Oregon State in Corvallis, Oregon, and one for the University of Oregon in Eugene. (The owners graduated from the U of O) The green and yellow clad duck, on the Oregon label, cheers on Duck … Buy Now! Lemon peel adds to the flavor of additional herbs and spices in this whole grain blend. As with our other seasoned blends very aromatic. 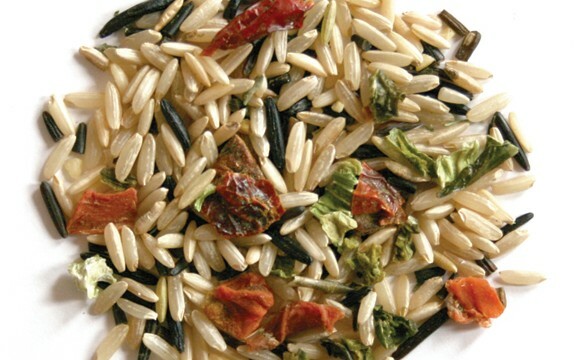 Brown Rice, wild rice, red rice herbs and spices. GLUTEN FREE … Buy Now! Powerful protein low fat combination of grains and rice. Brown rice, red quinoa, red rice, wild rice. GLUTEN FREE … Buy Now! 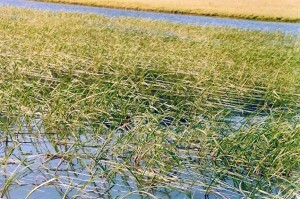 Wild rice engenders a relationship between the grower and the environment. GLUTEN FREE … Buy Now! 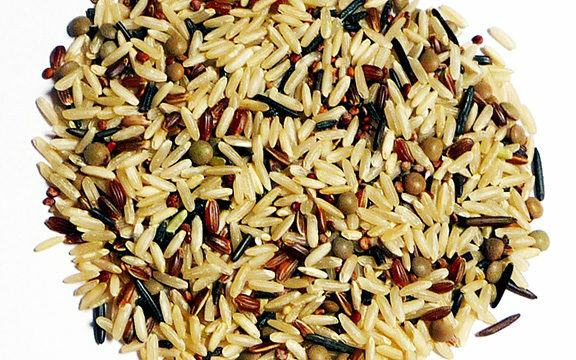 Basmati, red wheat berry, and wild rice. Seasonings are lemon thyme, garlic, onion and additional herbs and spices. A northwest specialty, this blend was originally designed for seafood, and poultry. By accident we discovered it also goes well with pork dishes. Use plenty of water 4 ½ cups to 5 … Buy Now! Basmati, red wheat berry and wild rice. 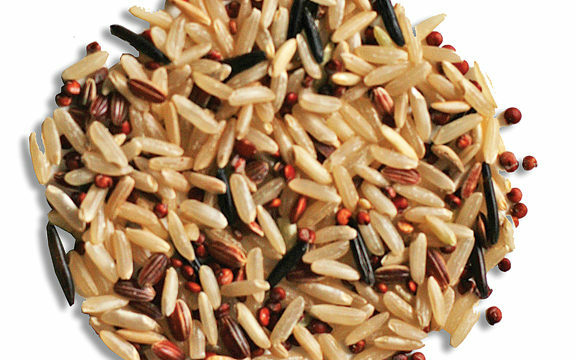 The aromatic basmati is the featured grain in this wild rice blend. This was designed for a restaurant in Seattle, Washington. Use plenty of water 4 ½ cups to 5 cups of water. Do not cook the water out. Think pasta. The basmati cooks a little faster than the … Buy Now! Wild & Ricey is great with any meal. The flavors, the colors, the aroma! Brown rice and wild rice. Blended with dehydrated vegetables, selected herbs and spices. So easy. Just water or liquid of your choice, add wholegrain blend. This seasoned blend will start a conversation at the … Buy Now! 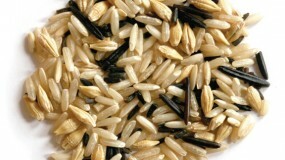 Whole grain Brown rice, red rice, black japonica (pronounced jaw-pon-ika) and wild rice. The black japonica adds a unique color to this blend. The flavor is slightly sweet and has a softer texture than our other blends. Cook time 35 min. Keep this blend covered in water or other liquid at all times … Buy Now! 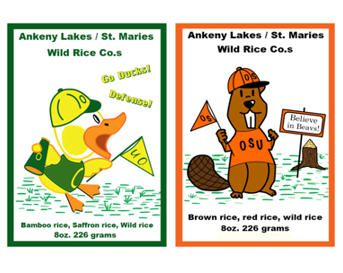 Welcome to the St. Maries Wild Rice & Ankeny Lakes Wild Rice Company web site! We literally run a “mom, pop, and son operation. It’s a family affair that has been in business since 1991. We have partnered with Spruce Up, an organization that serves the handicapped for over 20 years. 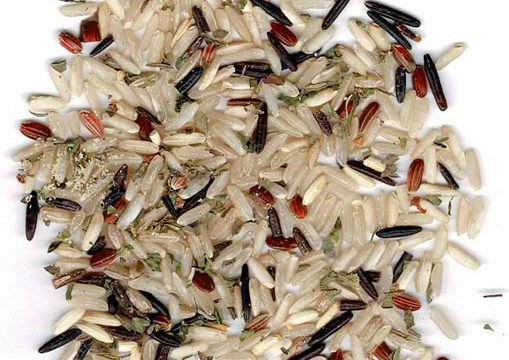 Here you will find information and frequently asked questions about wild rice. 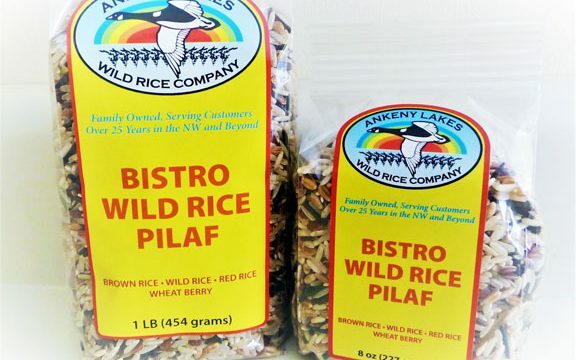 Information about how wild rice is grown, processed by us, and packaged. 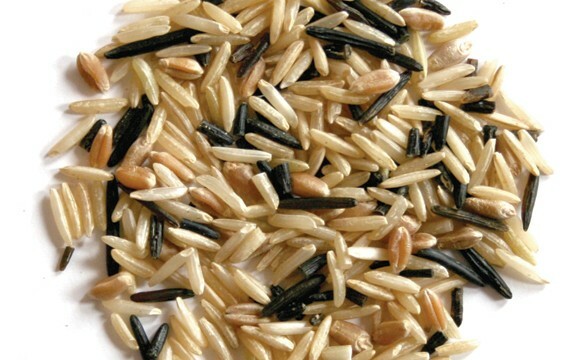 There are great recipes, various ways to prepare our wild rice and blends. 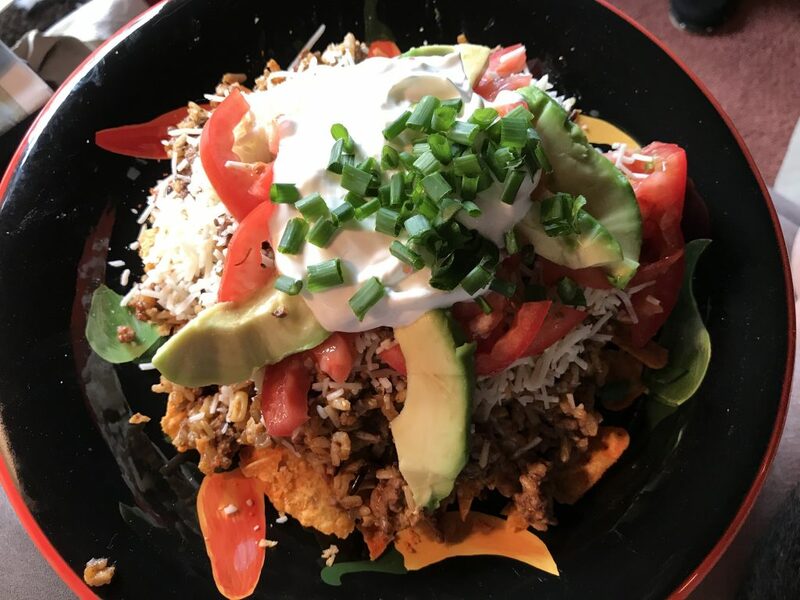 The recipes are updated often so keep checking back. 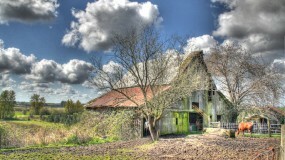 On the following pages meet the people of St. Maries Wild Rice & Ankeny Lakes Wild Rice Company. Be sure to check out our online shopping cart for product descriptions, and package options. 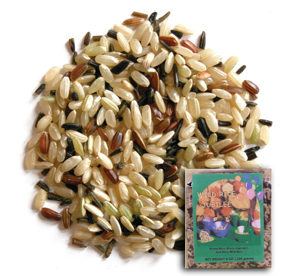 We offer a wide variety of wild rice, wild rice blends, and a cookbook. 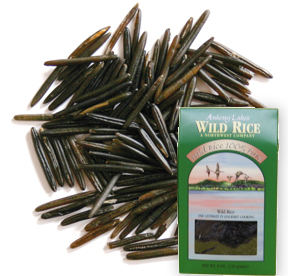 Be sure to check out all our wonderful wild rice goodies in our Wild Rice Online Store! We accept Visa and MasterCard through Pay Pal. New Gluten Free products available!